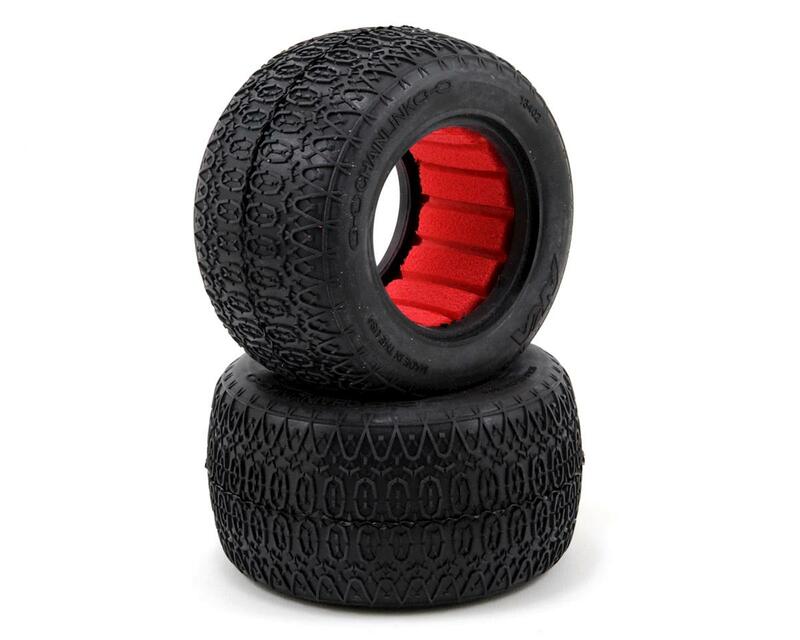 This is a pack of two AKA Racing Chain Link 2.2" Off-Road Truck Tires. The Chain Link features a bi-level, interlocking tread pattern that creates support for the tire's carcass and treads. This addition support leads to consistency through corners and provides on-throttle stability. 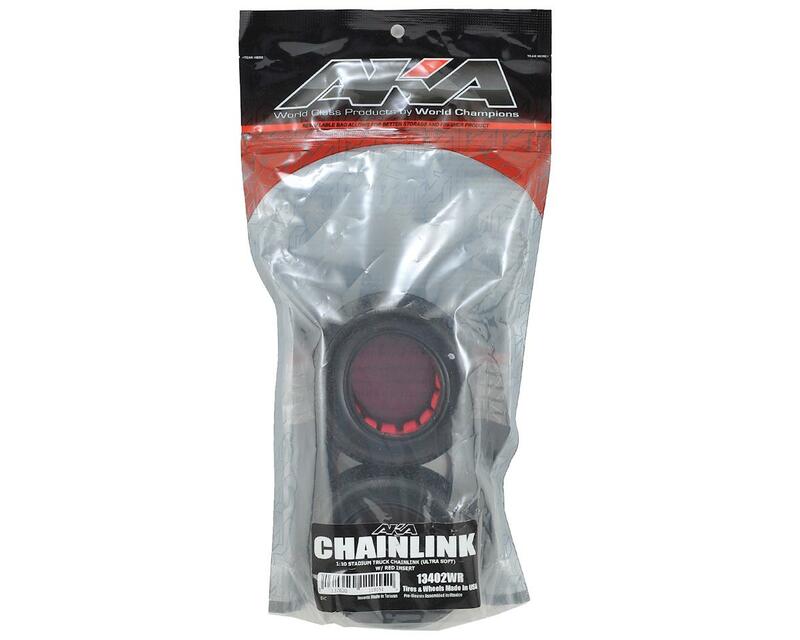 The Chain link has a perfect balance of forward drive and side bite which is ideal for hard packed or blue groove, indoor and outdoor tracks. Available in championship winning Clay, Super Soft, and Soft compound. As with all AKA tires, proudly designed and made in the USA.